With Silly Season now in full swing, it is once again time for “Sign Wars.” This is one of those thing in politics that seems silly, because who ever has been convinced by a sign? As hard as it is for people who are even slightly civilly engaged to understand, it offers a lot of credit to the kinds of voters who will be deciding a close election such as this one. It is a soft form of psychological warfare, “All of my neighbors like this Romney guy, but I think Obama is a good husband, and a good man. I mean sure, he’s not been the best President, but maybe if my neighbors all like Romney then I should take another look at Romney.” If you can accomplish it, greatly outnumbering the opposition in the sign wars can demoralize partisans and suppress turnout. At least that’s the idea. So now that October is upon us, the sign wars are starting. Bucks County seems to be blooming in yard signs much later this year than previous years. I’ve seen precious little. Chester County is starting to bloom. A brief drive through neighborhoods on the way to work, so far Romney-Ryan is outnumbering Obama by 10-to-1. These are comfortably wealthy to upper-middle-class neighborhoods in a county that is traditionally Republican, and went red in 2000 and 2004, but went blue in 2008 for Obama. I’d be curious to drive through the super wealthy parts of the ring counties and see how the sign wars are going there. I tend to believe most people who are comfortably well off will still lean pretty heavily Republican. It’s not until you get into the super wealthy, where they feel the need to assuage their guilt by supporting socialism for the little people, do you get things trending more Democrat. Not to get so pedantic as to spoil the fun, but you do recognize that this involves a simple psychological trick, intended to connect participants to the [campaign]. Actual experiments have been performed, that have demonstrated that if you can get people to participate in some tiny, token gesture (e.g, putting a tiny decal in their front window) you have a much higher probability of getting them to accede to a far more demanding and intrusive request in the future (e.g., putting a gigantic billboard in their front yard.) The tiny gesture psychologically links them to participation in The Cause. 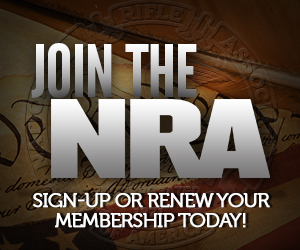 We (gun owners) see this used all the time, with things like completing phony “questionnaires,” or participating in online “petitions.” Usually the immediate motive is our participation in fund raising and/or contact/address harvesting, but the people doing it also know its future value, via our now-established psychological connection to the people doing it, and their niche in the cause. It’s use is almost always far more cynically motivated than participants believe. I have to politely disagree. As a Libertarian and someone who follows the issues you may not understand the concept of herd/tribal mentality, but it’s real and it matters. There are a lot of idiots out there who ARE going to vote and don’t follow the issues at all. These people do care about what others think, particularly the neighbors they know. So if someone is on the edge and see that the guy across the street, whom they respect, thinks enough of Romney to put out a yard sign and decal it could and will affect them — campaigns (like military battles) are as much about volume of fire as targeted fire. And if non-political idiots see enough yard signs for a particular candidate in their neighborhood that disagree with the way they are leaning … the tribal/herd instinct could push them the other way. If all your neighbors disagree with you, might they be on to something? Of course a window decal/yard sign/bill board/TV commercial during a football game won’t change the mind of a committed voter who follows the issues (or who just follows a party) and knows what they’re going to do. But those people aren’t going to decide this election anyway. So I’m a strong believer in yard signs and decals. If you don’t have one … GET ONE! As a libertarian (as we defined ourselves 20+ years ago) and a former big-L Libertarian, I assure you I know all about then herd mentality. Only the sizes of the herds differ. Oh, and can I deduce from what you said that the “If you want to be a political party you have to act like a political party” spiel is still being played among Libertarians? Although I’m somewhat of a small-l libertarian and also consider myself small-p progressive (going with the meaning of the word, not the European/Socialist definition it has gained in recent years) I was only suggesting that Libertarians/libertarians may be less influenced by mass media. It was a compliment more than anything. My apologies if my comeback was too strong and accusatory. Elsewhere I have alluded to a long-past Libertarian candidate who raised and spent more than $50,000 (in 1980s dollars) on a congressional campaign, and got 1.3 percent of the vote, after styling himself as an experienced authority on campaigning. For years afterward he stumped the country lecturing rubber-chicken LP dinner on “How to run a successful Libertarian Campaign.” Such charlatanism grates on me and I tend to go off whenever some issue reminds me of it. Heh; perhaps you and he have different definitions of successful? Sounds like turned it into a “success” for him; pity about those supporters like you who were serious about his campaign…. More seriously, all too often we’re just a means to an end that’s different than what we’d like, witness how little our RKBA interests are represented, at least at the national level (in my home state of Missouri it works a lot better). Here is a fun little fact for you. Most municipalities have ordinances on election signage and display. Generally it’s limited to no more than 30 days before the election and must be removed soon after the election. PennDot has strict rules of on when signs can be placed on PennDot maintained roads. On thing interesting, here in Central Pa. 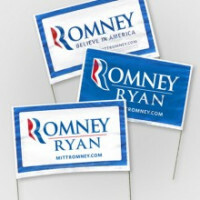 There are a whole lot less Obama bumper stickers this year when compared to four years ago. Four years ago I would have told you there was no chance for McCain in PA. This year it’s going to be close. Out here in the middle T there is a hell of a lot of voter remorse over the 2008 election. Then you look at the 2010 elections in PA along with the chick-fil-a turn out that happened here, all this adds up to dead heat race. So polls are starting to show that PA is very much in play. Only signs I’ve seen here are for Johnson. You have to leave your own yard once in a while. I haven’t placed my signs outside yet. They are in the garage. I will cut the grass tomorrow and probably erect them after. I have only seen one 2 Obama signs in my town. I have already counted over 18 Romney signs. Some of the 18 are local committee people. I tend to think like Sebastian. It all has to do with the people who make their mind up last minute. Having worked the polls for over 20 years, I am amazed at how many people ask me who to vote for as they come in. “Dan, you always keep up with stuff, who should I vote for,” is not uncommon. Since I have helped register many of my neighbors, them asking my opinion is normal. I do not subscribe to Andy B. theory at all. (He will not be surprised) He continues to be a very impressive writer, but his facts are often wrong. (Strong prose, no knows.) The larger signs are usually saved for high traffic areas as they cost more. I hate to sound like I’m waffling, but my comment was originally composed for the “Chicago Twitter” thread and was only copied over here for convenience. It could stand some qualification. It was only coincidental that that comment addressed “signs,” as those were initially the object of the psychological experiments; people who agreed to display a tiny, innocuous window sticker with some sentiment like “Drive Safely” were subsequently many times more likely to agree to have a large, obtrusive wooden sign with the same sentiment dug into their lawn, than people who were approached first about the lawn sign. In the case of campaign signs, there obviously are other motives for using them, and I won’t contradict at all (except to say, don’t overestimate it) the “herd mentality” factor; we see it above with the comments stating assumptions based on how many ORomney signs have appeared in town. But anecdotally I live in a neighborhood that at times has been plastered with lawn signs for Republican candidates (including on my lawn) who subsequently got (e.g.) 27 percent of the vote. So, it ain’t everything by a long shot — just one of many factors. It has to be part of a tailored package. Now, what I will stand by is my assertion that for all of the other benefits of campaign signs, one of their primary purposes is to give people a psychological connection and commitment to the campaign. After I had hung several hundred campaign signs, I was not likely to say I was washing my hair on election day, and couldn’t work the polls. Now, if I were sufficiently vain I’d add my resume to my Old Stories, in terms or the actual political tactical training I’ve had and from what sources (most definitely, not including LP fantasies), but suffice it to say if I’m a cynic, it’s because I know how real campaigners regard True Believers. It ain’t pretty. When Dan the Man knows places I am specifically wrong, he is welcome to present his proof of my errors, and I will learn; but what your local Republican committeeman (or even county party chairman) confided to you will at best be greeted with a grin. Uh, are you kidding me? Each time I go to vote, along the way I count the number of signs for each candidate, and then vote for whomever has the most signs. Makes it easy! I blogged about this earlier. Seems like there aren’t many signs/stickers around here at all. Not for any national candidates. A bunch for locals, though. I suspect that the drop off you see is probably semi-related to what we see here. We’re no longer swing states for the presidential race. We don’t have the money flowing in here like there is in Ohio, Florida, and a handful of other states.